Pardon my rant, but when people say to me that they can’t differentiate one Grateful Dead song from another because they all sound the same, I have to laugh even though I feel both frustrated and, at the same time, insulted. Every band, composer, singer, musician has their own sound. It’s not unique to the Dead. Led Zeppelin sounds like Led Zeppelin, Lou Reed like Lou Reed, Bob Dylan like Bob Dylan and Mozart like Mozart. It all “sounds” the same if you don’t take the time to actually listen to the music and, instead, decide to make a snap judgment. What makes the comment, “all their songs sound the same” so much worse and so disastrously ironic to me is that the Grateful Dead just happen to be one of the few bands to embrace an almost unimaginable tally of styles and facets of American music from folk to rock to disco to pop to blues to country to bluegrass to psychedelic to traditional western to reggae to jug band to ballads to sea shanties to jazz and beyond. On top of that, their sound and approach changed on an almost tour-by-tour basis (for those paying attention). 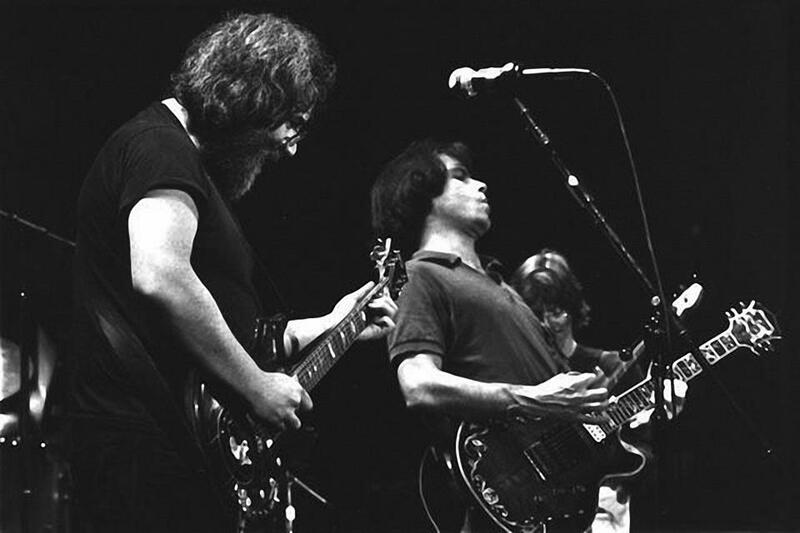 The Grateful Dead offered more variety than almost any other “rock” band in history. Yes, they always sound like the Grateful Dead because they ARE the Grateful Dead. Having their own sound is not something unique to them. But it is often used as a means to either put them down or declare why one finds them inaccessible. The truth of the matter, as I see it, is that people are lazy and would rather decide why something doesn’t work than find out why it does. Anytime you listen, watch, read or create something that is outside the mainstream, people en masse feel a need to put it down and judge it harshly (and wrongly). Some (many would say all) art requires that you meet it halfway, that you come to it instead of waiting and hoping it will come to you. In my opinion, the BEST art requires you to play an active role and step forward to meet it. Those who sit back and wait often end up complaining and insulting what they are not willing to take the necessary steps to understand. As a result, great artists often have an immense uphill battle, some never managing to come to fruition. Others only receive recognition after their demise. I’m glad the Grateful Dead found recognition while they were alive and performing. And I’m glad that I was born into a time where I could partake of that experience. In fact, it is one of the things I am most thankful for in my life. This knowledge has had the added benefit of asking me to practice what I preach and be more open to other forms of art that I don’t immediately connect with. I try to accept and embrace the innate value in things that don’t initially feel valuable to me personally, and not attempt to devalue them simply because I don’t “get” them. The most exciting and gratifying parts of my life have been and remain the parts I have actually stepped up to and met at least halfway. There have been some very meaningful and euphoric surprises in those actions. That said, if you don’t feel like you should have to step up and meet anything halfway… Don’t. If that’s your choice, please consider refraining from making unwelcome comments that underline your own unwillingness to participate in what is out there that others find extreme value in and are moved by. I can tell you from experience, it’s exhausting being on the receiving end of such drivel.